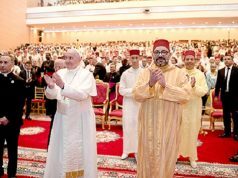 Pope Francis, on his first official apostolic visit to Morocco, joined King Mohammed VI at an institute for the training of imams in Rabat. 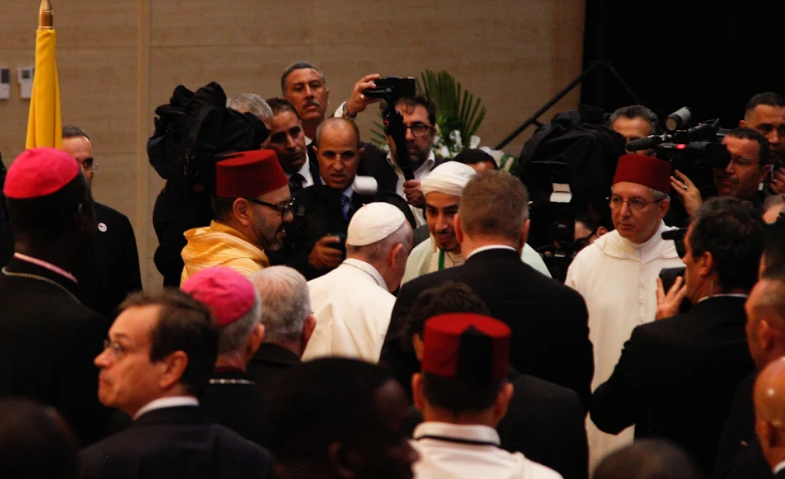 Greeting the leaders, the Minister of Islamic Affairs, M. Ahmed Toufiq, explained a precedent for relationship between the Catholic Church and Morocco. 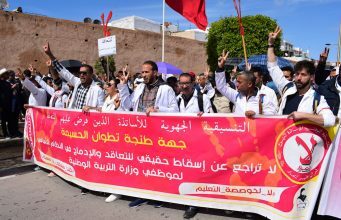 Rabat – Eight hundred years earlier, St. Francis of Assisi had wished to visit Morocco’s sultan but could not, due to illness. 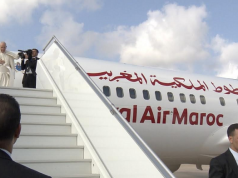 His ambition, Toufiq explained, illustrates that the Vatican has known for centuries that Morocco is the seat of the Amir al-Muminin, or Commander of the Faithful. 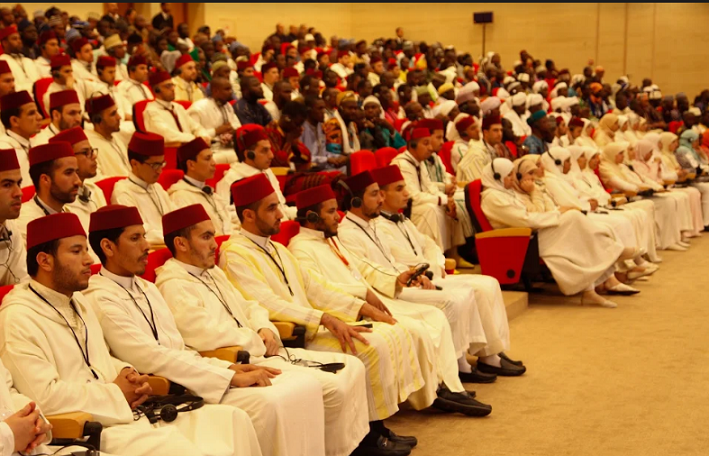 The two religious leaders visited the Mohammed VI Institute for the Training of Imams, Preachers. On the shining marble floor of the entry hall, hundreds of student imams waited to enter the lecture hall. The crowd showed the institute’s reach: Chadian students dressed in all white, students from Côte d’Ivoire, Nigeria, Mali, and Senegal in a brilliant array of colors. 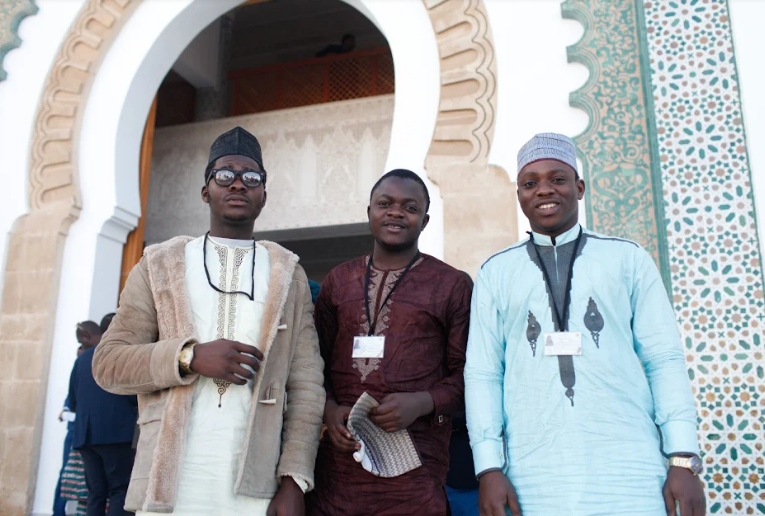 Of the institute’s 3,000 male and female students, nearly half are foreign, mostly from West African countries. 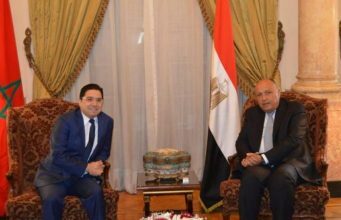 Interfaith dialogue is vital to his home country, he explained. “Most of my friends are Christian. 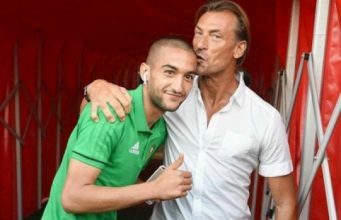 Even in the same family, you can find Muslims and Christians.” Like all of his international classmates, Hassan will return home after his two-year program to guide his community with the inclusive Islamic teachings learned in Morocco. 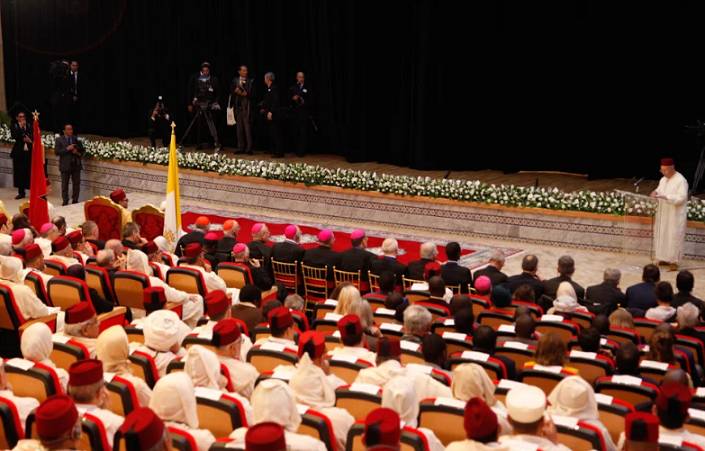 After arriving, Pope Francis and King Mohammed VI sat beside each other in elegant red and gold chairs, facing the stage, to watch a promotional video for the institute, shown in Spanish for the Argentinean Holy Father. 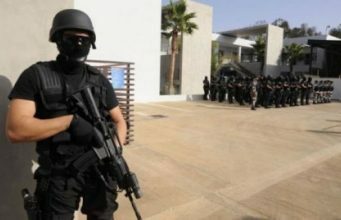 King Mohammed VI founded the institute in 2014 to build for the Muslim world a scholarly buttress against the dangers of extremist ideology. 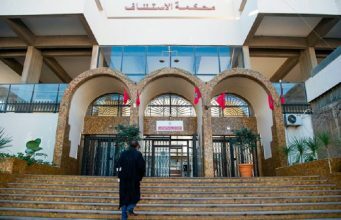 By promoting Morocco’s inclusive, spiritual interpretation of Islam, Minister Toufiq explained, the institute helps to protect the religion. Two foreign students addressed the monarchs, the audience of students, the papal entourage and leaders of Morocco’s government. 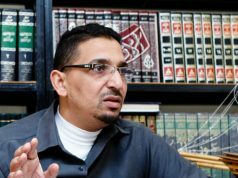 Both had sought the institute’s Islamic education in order to combat extremism back home. 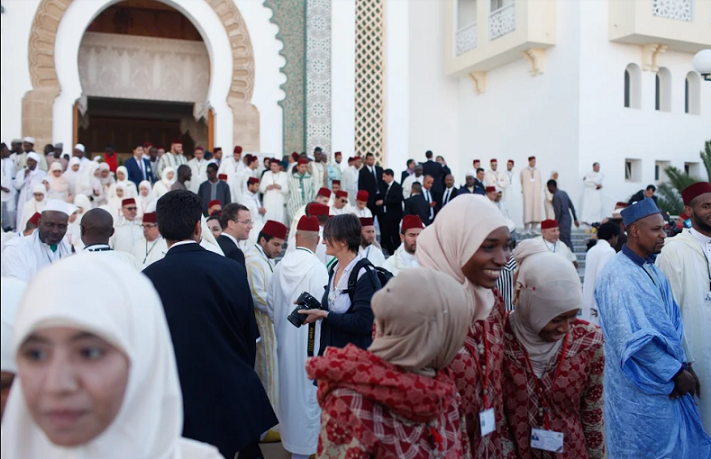 The violence of extremist group Boko Haram sparked Hind Usman, a young woman from northeastern Nigeria, to leave her work as a microbiologist to study Islam in Morocco. Extremism preys on religious people who are moved by “passion rather than knowledge,” she said. 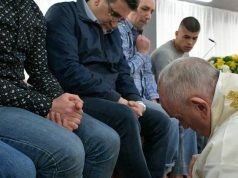 Usman hopes to return home and educate her community against manipulation and “influence tolerance, love, and peaceful coexistence between Muslims, Christians,” and those of other faiths. After these students spoke, the curtains opened to an orchestra. 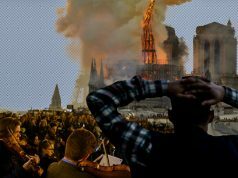 An imam, chanting the Muslim call to prayer, walked onto the stage as cellos droned. As the orchestra swelled, a Jewish woman singing a Hebrew prayer and a Christian woman singing the Ave Maria joined him. 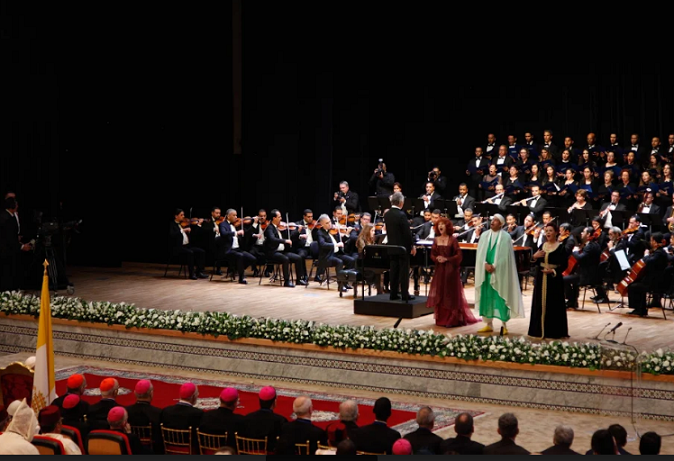 The musical mélange, a clear message of unity between believers of the three Abrahamic faiths, moved the two holy leaders. 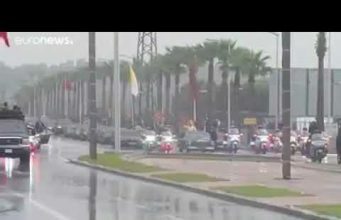 After thanking the musicians and the students, the king and pope left the institute to dine together in the Royal Palace. 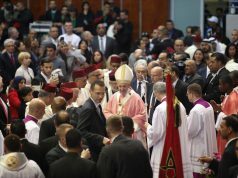 Today, March 31, Pope Francis will preside over a Catholic Mass at the Prince Moulay Abdellah sports complex at 2:45 p.m.